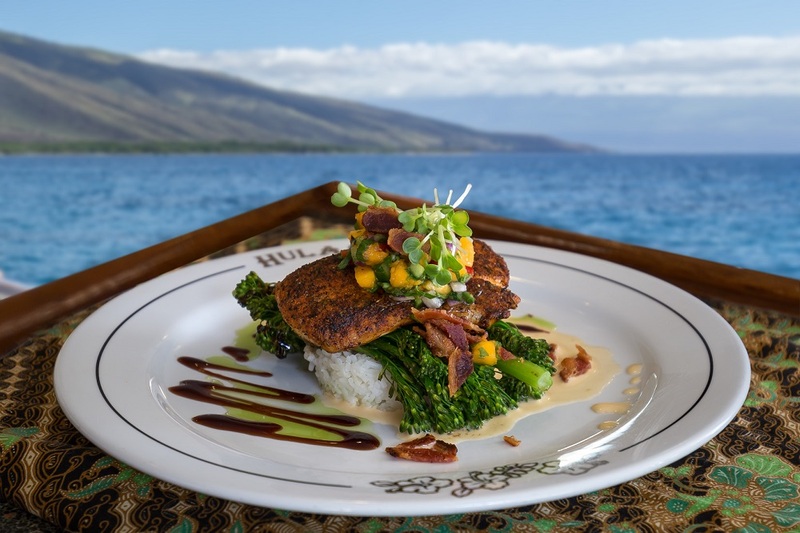 Join the Hula Girl for a delightful and romantic whale watch dinner cruise. This is your perfect choice for an upscale dinner cruise with incredibly reasonable prices and whale watching in comfort and style. Enjoy the commanding views from the fly bridge with cushioned couch style seating for 14 guests, get up close and personal with marine mammals from the front deck where you will find cushioned seating for up to 35 guests, or lay on the four queen size mattresses at the front of the trampoline area. Informal whale narration is provided throughout the cruise. You will be able to choose from appetizers and entrees, but we always recommend the Chef's Daily Fresh Fish Special. Finally Maui has a Dinner Cruise with truly world-class cuisine prepared fresh onboard by our talented chefs. A top shelf selection of tropical cocktails, fine wines by the bottle or glass and imported beers are available for purchase. Using only the freshest local ingredients, our professional onboard chefs have created an extensive Pacific Rim ala carte menu for your dining pleasure. Please Check the Box Acknowledging: Check in is 15 minutes prior to departure.